There are some women travel writers whose work I keep coming back to for the sheer pleasure of it. I only have to pick up one of their books and my original purpose – the answer to a specific question, for example – goes out of my head. These women were amazing. Not only did they tread confidently through dangerous and inhospitable regions, but they also described their experiences in books which are a joy to read. Without exception, what they enjoyed most was the sensation of freedom: the liberty to follow their own heart, their own time schedule, their own instincts. The exhilaration of independence, coupled with the excitement of adventure and discovery, fuelled their urge to travel. For this post, I’ve chosen five of my favourite women travel writers. I’m already looking forward to discovering more. If you have any recommendations, I’d be happy to hear them! 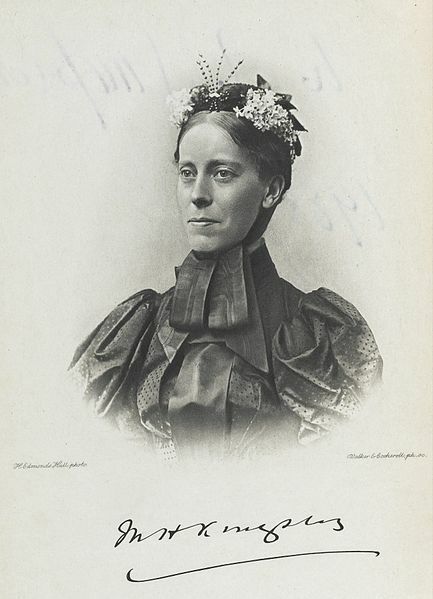 Mary Kingsley set sail for Cameroon in 1893. Aged 30 and single, she was defying all her friends’ warnings by travelling alone, equipped with little else but a rudimentary medical kit and her irrepressible sense of humour. Her aim was to make a scientific study of the fish found in the West African rivers; she intended also to record the customs and spiritual beliefs of cannibalistic tribes, none of whom were expecting her company. Mary, to say the least, was one strong-minded lady. 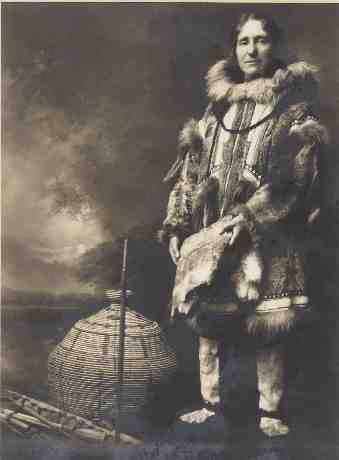 It was the land of the far north that spoke to the soul of Scotswoman Isobel Wylie Hutchison. In 1927 she stepped onto the shore of Greenland and spent a few months journeying on foot and by umiak – traditional skin-covered boat – up into the gloriously tranquil fjords on her mission to collect plant species and study the culture of the Inuit people. A few years later she trekked across Alaska and Arctic Canada, travelling by dog sled and sleeping in igloos as the northern lights danced across the starlit sky. Isobel’s descriptions of landscape and people are vivid and uplifting, the outpourings of a vagabond heart that greets new discoveries with uninhibited joy. She writes as if for herself alone, but you feel like a privileged companion as she treads reverently into sacred birch groves and gathers wild orchids by fast-flowing mountain streams. The daughter of a Yorkshire vicar, Isabella’s wanderlust was a force that overcame her physical frailties and eventually propelled her to fame as a writer and early travel photographer. Many of her observations were contained in letters to her sister Henrietta, back home in Scotland. She wrote with vibrant appreciation, expressing her opinions fearlessly, and sharing heartache with equal candour. 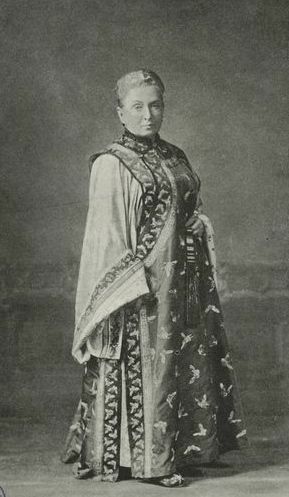 As a woman of the late Victorian era, Isabella carried a torch for others to follow, beating her own path with uncompromising determination and courage. You can read more about Isabella’s visit to Hawaii in this blog post on the RSGS website. 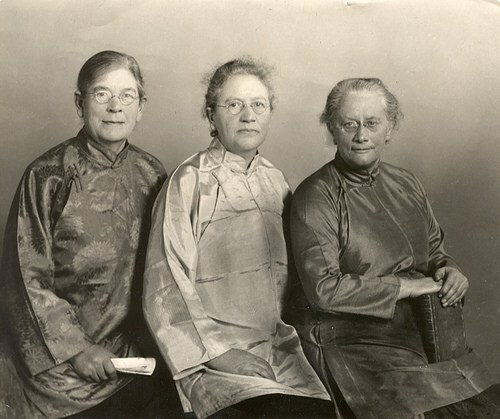 As they jogged and swayed across the empty wastes of the Gobi Desert in the early 1900s, Mildred Cable and her two companions, Eva and Francesca French, had no intention of succumbing to any kind of emotional extremes. Such weakness would have been alien to their nature and counter-productive to their task, which was to spread the word of the gospels among the villages of western China. Travelling by mule cart, the three missionaries encountered near-death experiences on an almost daily basis, but the drama is softened by Mildred’s gentle writing. A missionary who let himself consider fear, she said, would spend his life in a panic. Even so, when the three women were captured by a notorious despot who could command their execution with a snap of his fingers, Mildred had to dig deep to find the faith that would help them through their plight. 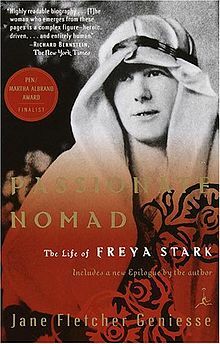 If there is one female writer who captures the sheer deliciousness of travel, it is Freya Stark. Beguiled by the lands of the Middle East, Freya was a compulsive wanderer, often travelling with no serious motive other than her insatiable curiosity. Her many travel books weave a spell, drawing the reader willingly into a landscape of scorching deserts, remote valleys and mountaintop castles. She shares conversations with unerring accuracy and mischievous wit; her descriptions are vivid word paintings, glowing with so much beauty that you find yourself re-reading paragraphs just for the pleasure of them. All these extraordinary women are included in my book ‘The Great Horizon‘, which tells the amazing stories of 50 explorers, both male and female, from the archives of the Royal Scottish Geographical Society. A wonderful post full of truly remarkable people, and the fact that they were female and travelled in the way they did is all the more astonishing. They weren’t all exact contemporaries, but do you know if any of them ever met each other? I wonder if such independent souls would have got on well together, or if there might have been any sense of competition between them. That was what I was thinking, they probably wouldn’t want to spend too much time in each other’s company. Travelling alone, or being the only female, would certainly be a different experience from being one of a group. I can see the attraction of that, although I wouldn’t have the courage or confidence to do what they did. No, they were all exceptional women from that point of view, given the era in which they were born. I don’t think it’s because they didn’t feel fear, because they did – it’s that the compulsion to travel was greater.